The SNS approach to implementation ideally requires that all stakeholders be involved in the process of implementation including some of the potential students and community members. They should first be brought together for a meeting to discuss and study this curriculum and to make recommendations for any additional elements or changes. After this, they should discuss those themes and issues that are locally most relevant. As the curriculum is extensive and there are many themes and issues that will be included for optional study, local stakeholders may choose some aspects/themes above others. Such a participatory exercise should also be seen as orientation of the stakeholders, not only the teachers. 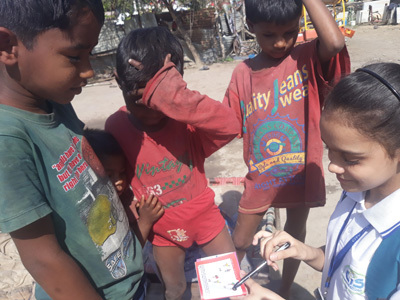 As the curriculum is quite different from what is generally expected, and since it is possible to involve in this program all age groups within a community, all should ideally be involved from the beginning of the implementation process. This is so that they can understand why this would be valuable for their children, youth and adults. They should be explained why they should invest their time in this kind or any kind of education. 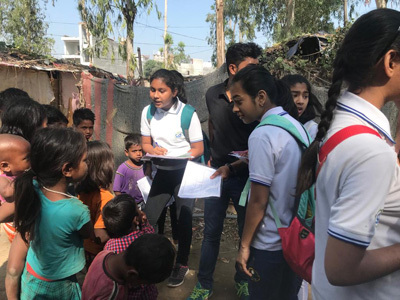 Since much the SNS curriculum can also be studied at a slower pace within the home with some help from outsiders, making rural and urban populations aware of what is possible through this curriculum will greatly increase its demand. Such awareness can best be built when discussions and consultations are carried out before embarking on the project. A lot of flexibility has been built-in within the SNS educational program so that locals can make a significant contribution to its success and teachers can, without much creative work of their own, modify the curriculum to suit local needs. For example, if a suggested theme is study of the plants and these plants are not locally available, these could be easily modified by the teacher or students. Local implementing agencies may need to provide training in a local language as well. In this case, the same worksheets as included in the SNS program can be re-done in the local language. We feel that in this millennium English be taught in all classrooms as it promises to be increasingly important in the rapidly emerging global community. With the increased availability of the internet, we want our students to make most of their opportunities. Computers and internet are getting cheaper by the day and many donor agencies are also eager to provide the underprivileged access to these, such as Schools Online and I*Earn organizations among others. Before adopting the SNS program, each community also needs to first determine whether their students can, after completing the SNS program, join regular schools beyond grade 5. Some of the Indian States legislate what should be taught even to the youngest, others provide enormous flexibility in designing for the kindergarten and primary levels but control the higher grades. Many NGOs follow already existing curriculums such as CBSE/NCERT and may therefore be unable to follow a new curriculum in its entirety. Where possible, accreditation and recognition should be sought for the SNS curriculum from local/regional/state level legislators. Efforts should be made to bring the curriculum to the knowledge of the government authorities in your area so that properly recognized certificates can be issued where needed and students are not left at a disadvantage. Our practical experience has shown, however, that recognitions are not important for this age group for further admission. 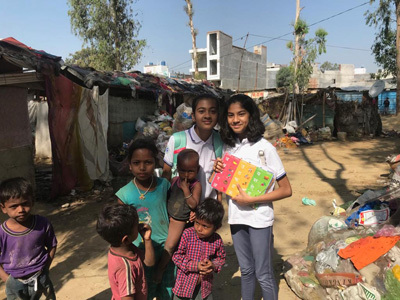 After completing our DEVI course in non-formal education (which is not accredited by the government), students are readily able to get into schools beyond grade 5. These schools tend to examine the ability of the child rather than rely upon recognized certification to determine admission at this age. A video will be made of a training program first perfected with a few groups of teachers. Such a video will be made available to all implementing agencies and groups that are interested in training teachers to undertake this curriculum. Teachers will be prepared and trained in this new curriculum first before they embark on a teaching program. Eventually, a video will be made of this training program so that teachers can review their understanding through their local implementation agency, such as a local NGO or institution. The objective will be to focus on the training of trainers, such as NGO staff, who manage non-formal training centers. They will in turn train their own teachers who work at these centers.